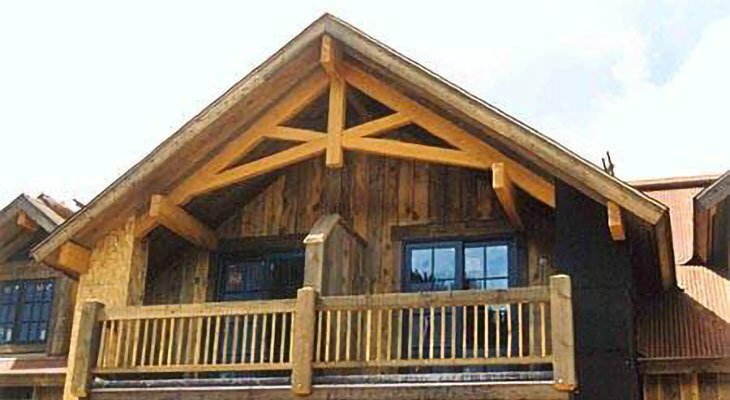 Accent your home or commercial building project with beautiful logs or timbers. Moore Lumber & Ace Hardware supplies mill rough, saw sawn, or smooth (S4S) timbers. Most are graded #1 Free of Heart Center (FOHC) for additional stability and are selected for appearance. FOHC beams are less likely to twist or warp although they will still check or split. We can also supply logs for accents.